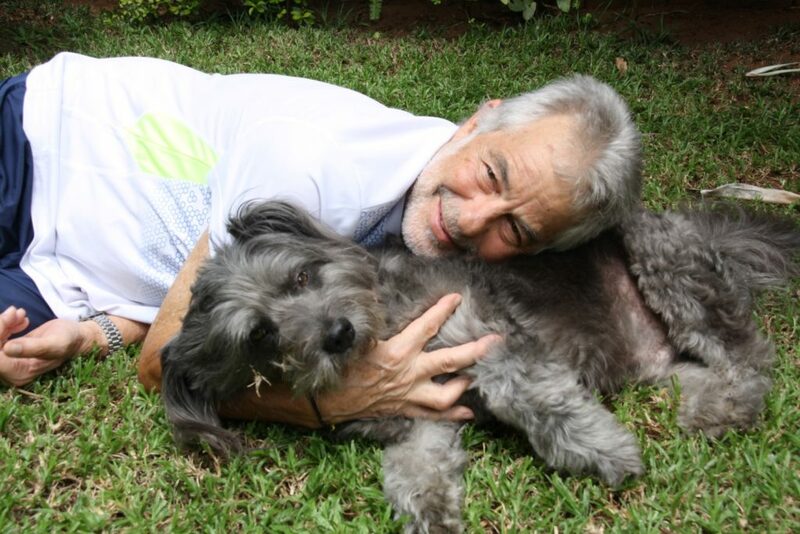 Humphrey, the uMhlanga Tourism ambassador, will be stretching his legs on an easy 5km walk on the uMhlanga Promenade to raise funds for the SPCA. Entry Cost: R100 per entry R125 on race day (cash only). Note: Don’t forget to make use of the doggy dog bags available from dispensers along the promenade. Each entry gets you an ‘I love Humphrey’ badge, which must be worn on the day! Entry forms available here and are available at the uMhlanga Medisport Pharmacy, with payment options (zapper, cash and EFT) listed on the form. The public is encouraged to enter before 25 March so as to avoid congestion at the start on the day. Contact Alwyn Immerman on 083-792-4709 for more details. 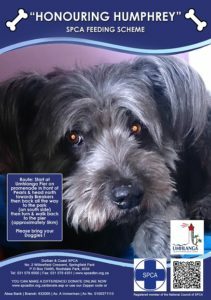 Humphrey’s journey with the SPCA began when he himself moved from being a rescue dog at the animal charity to the loving home of local pharmacist, Alwyn Immerman. Instead of living the high life since then Humphrey has been working hard to raise funds for his former home and has to date clocked near on R300 000! His aim is to reach R1 million for the SPCA.